The Range can trace its origins back to 1980, when it was originally set up as CDS Superstore in Plymouth as we add them to our NHS Discount portfolio! It has come a long way since their founder Chris Dawson started the business as an open-air market trader, now it has companies across the UK and has even diversified into the likes of waste management, property, dry cleaning and shop-fitting! 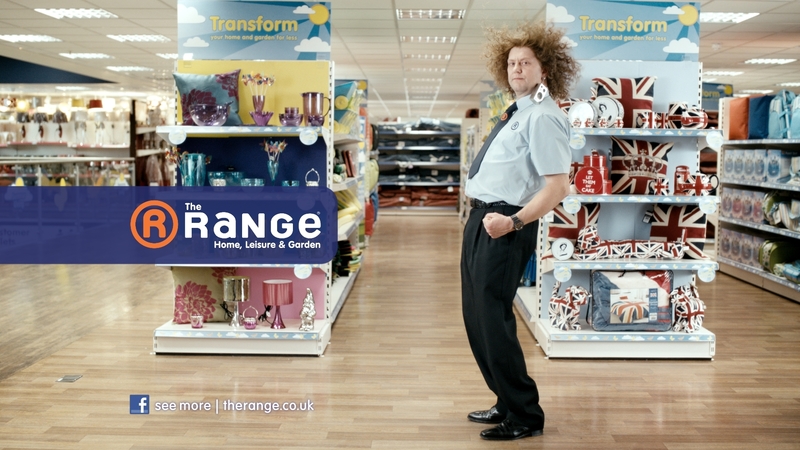 But for the average customer The Range is known for stocking more than 65,000 quality products across 16 departments. They offer anything from homeware, to furniture, garden and leisure products. They take pride in providing their customers with mid-price products, allowing you to create a stylish home at an affordable price. So if you are looking to revamp your garden with some new outdoor furniture, treat your pet to a new toy or just want to buy some comfortable and affordable outdoor clothing then The Range will have everything to suit your needs and more. There truly is a huge variety of products to choose between and chances are if you can’t find what you want in their stores or on their website, then you aren’t going to find it elsewhere. Their website is a great way to view all their products and it also offers free delivery on certain orders so you don’t have to worry about expensive shipping costs or having to transport any large products yourself. As well as their very reasonable prices, The Range often have sales and great deals for their customers. You can also find some of the most up-to-date offers and promotional codes online to use on both their site and in store to make even more savings! So be sure to search for a voucher code before you look to invest in some new furniture or garden products.